The Conscious Dying Institute provides end-of-life training, certificate programs, and continuing education in palliative care for nurses, physicians, clinicians and caregivers. In particular, we offer customized healthcare systems-oriented trainings and educational programs touching upon all aspects of end of life conscious dying care. 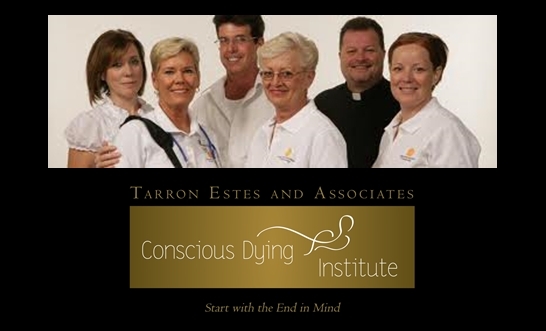 Conscious Dying Institute - Clients and Sample Programs. Each system is different, each engagement is unique - we work to meet the specific needs of your organization. Our Conscious Dying Education programs increase the number of patients and families receiving the care they want and need by transforming the lives of caring professionals. Its unique curriculum awakens and nourishes clinicians, increases their ability to be the primary healing instrument of care delivery. The program content is ‘non-proscriptive’. It relies on the principle “we innately give what we receive” When included in program curriculum, system-wide goals and behavioral objectives are improved and implemented. Our goal is to bring palliative care practices to frontline caregivers in all home and healthcare settings increasing the reach of palliative care. In this way, clinicians, physicians, nurses, CNAs, individuals across ALL parts of the system will benefit from our trainings. Our end of life educational programs are exceptional learning opportunities for professionals in continuum of care, hospice, health and palliative care systems. They revolve around practices in compassionate connection, confident communication, and comforting care derived from Conscious Dying /Caring Science theory and practices. They increase authentic presence in staff, enhance their connection with patients, increase confidence to talk about concerns and wishes, and provide comforting care that is based in patient values and choices. With the increase in patient and family desire to have physician-supported conversations, physicians and team members across all settings benefit. Content and Practices derived from spiritual and medical leaders such as Dr. Elizabeth Kubler-ross, Dr. Jean Watson, Frank Osteski, Graceful Passages, Pema Chodron, Dr. Peter Fenner, Eckhart Tolle, etc. Expert presenters and facilitators, innovators in end of life education, emotional intelligence, veterans care, and more. We use experiential and evidence informed practices that heighten the emotional intelligence and spiritual awareness of caring professionals. This innovative human caring model of education improves quality of life and death in all domains of life, throughout the full life continuum, all health conditions, and all health care settings. It addresses the ethical, moral, spiritual and financial imperatives that nourish all people in their care experience. Since frontline staff have more frequent and consistent patient and family contact, we focus on increasing caring healing capacity in this population. Renewing their purpose as caregivers and increasing their awareness of their own hopes, fears, and wishes for care at end of life improves the care they give to others. Contact Tarron directly for more information: phone: 303-440-8018 or send an email.